A long term Search Engine Optimization approach focuses on one thing: allowing potential customers to SEE your brand or business. It is important to rise above the competition by focusing on good keywords that will bring in the bulk of your website visitors, which means profits. Whether you need us to optimize your current site, to become more search engine friendly – thus yielding a first page result in google, or a long term monthly SEO strategy ; Mesa Interactive is the best choice for your business. We can take a low ranking site, taking in very few hits per day – and turn that into a site which is visited by thousands, maybe even millions per day or per month. 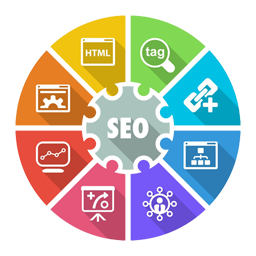 Our staff is trained in every aspect of SEO ; and works closely with our clients to produce the best possible marketing strategy for their website.